Confit the pork belly (view that recipe here). Afterwards, rinse off the rub and then roast. Leave rub on if you want to caramelize it but be careful here and decrease the amount of salt used. 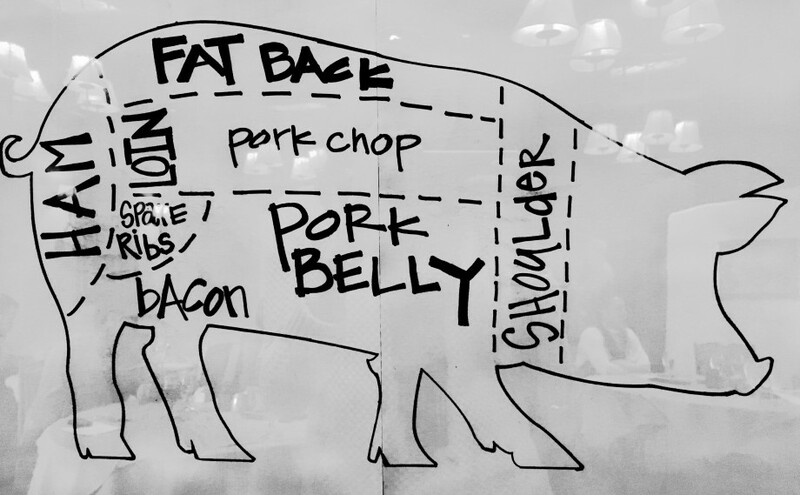 For bacon lovers, the chefs recommend curing the pork belly for almost a week, dry and hang for 5-6 days and then smoke it. Slice to make bacon! 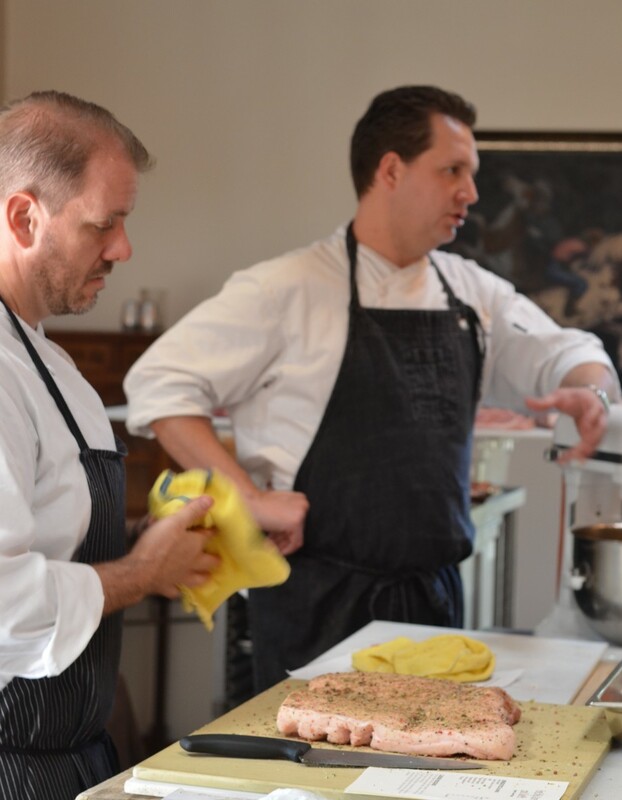 [caption id="attachment_4359" align="aligncenter" width="372"] Chef Martinez prepping the pork belly while Chef Pacheco explains how to confit. [/caption] Next up: making Italian sausage. Here, the higher the fat content the better. Grind together both the fat and the meat (about 5lbs) to help emulsify it (use the paddle on your KitchenAid mixer).Â Note that you'll want your meat cold when grinding - almost freezing - in order to help emulsify. Let that sit for a day. From here, you can either leave as is and use as sausage on a pizza or buy the casing attachment for the KitchenAid to case, and then bake or grill your sausage. 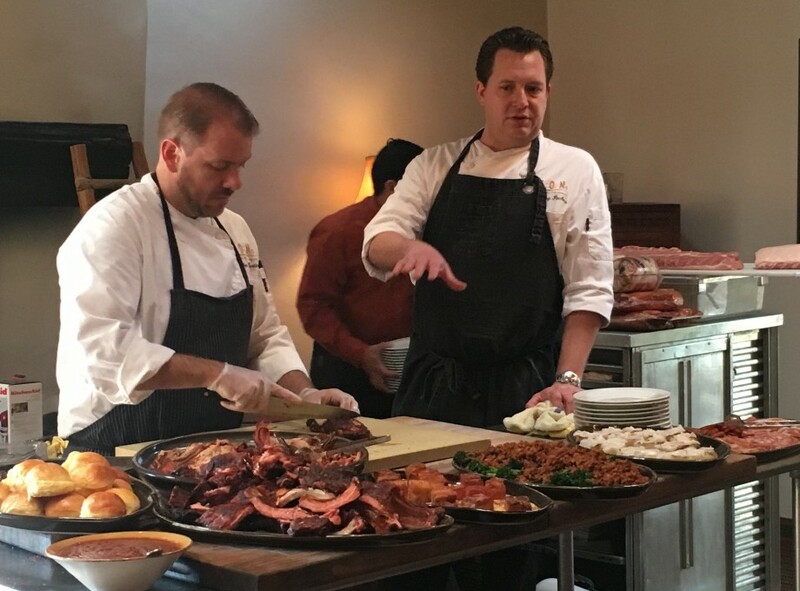 [caption id="attachment_4357" align="aligncenter" width="383"] Chef Pacheco continually checks on the tenderloin, ribs and pork shoulder throughout class. [/caption] ForÂ pork tenderloin, a quick tip: pair with a chimichurri (get our recipe here). And remember to add the salt and vinegar first, as that's what dissolves the salt grains. 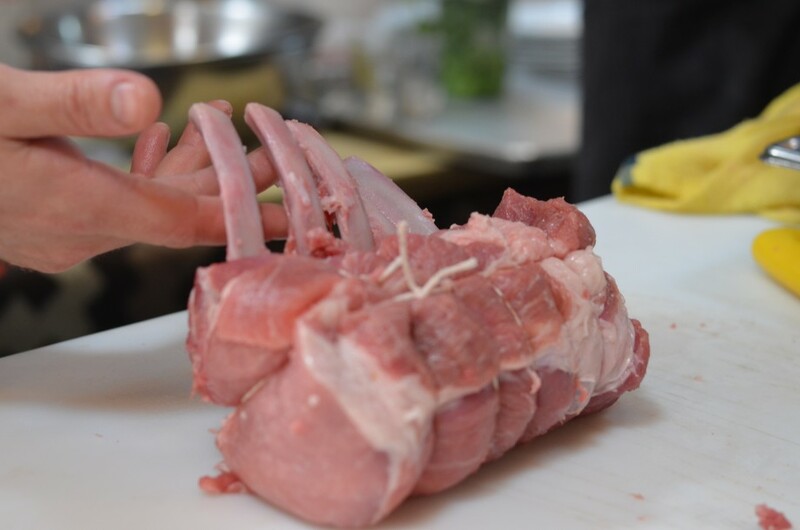 As for the pork loin, using string to tie the meat together is not just for looks;Â giving it this uniform shape ensures even cooking. 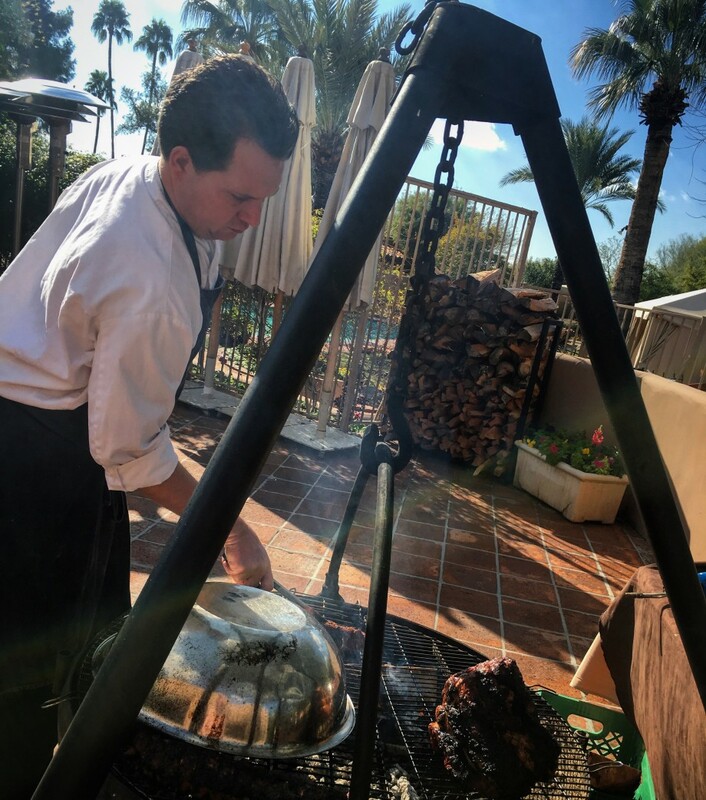 Chef Martinez demonstrates that for class below. Any questions? 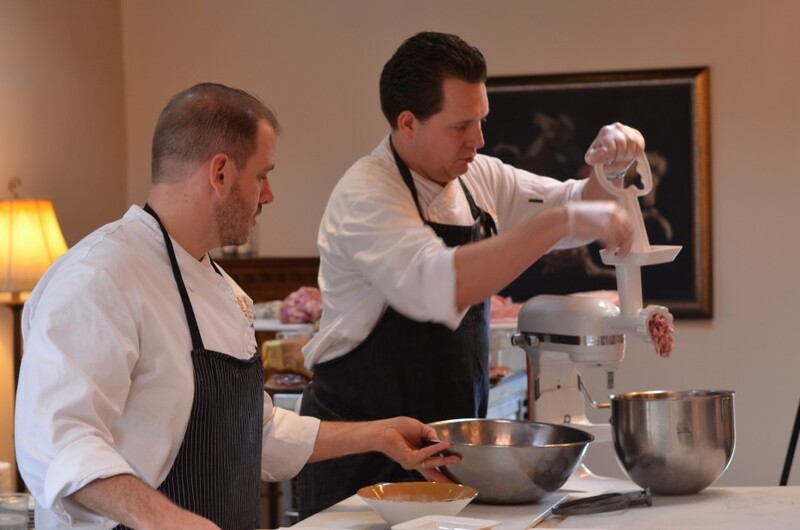 Leave a comment below for the chefs and we hope to see you in an upcoming class. Download theÂ seasonal events calendar hereÂ or view our online events calendar.